Ed, Ted, and sister Fred, the Village’s resident tinkers, have been working on a top secret project for Santa for the past 50 years and they’re ready to give you a sneak peek. 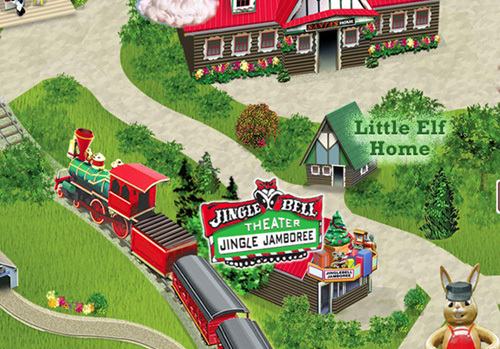 It’s all happening at the “We Care Sleigh Repair Shop” where bells are sure to ring and some holiday shenanigans will be in full swing. Live performances daily, from Father’s Day through Labor Day, inside the Jingle Bell Theater, at 11:30am, 1:30pm, and 3:30pm.